organization providing educational and athletic instruction to children and youth. 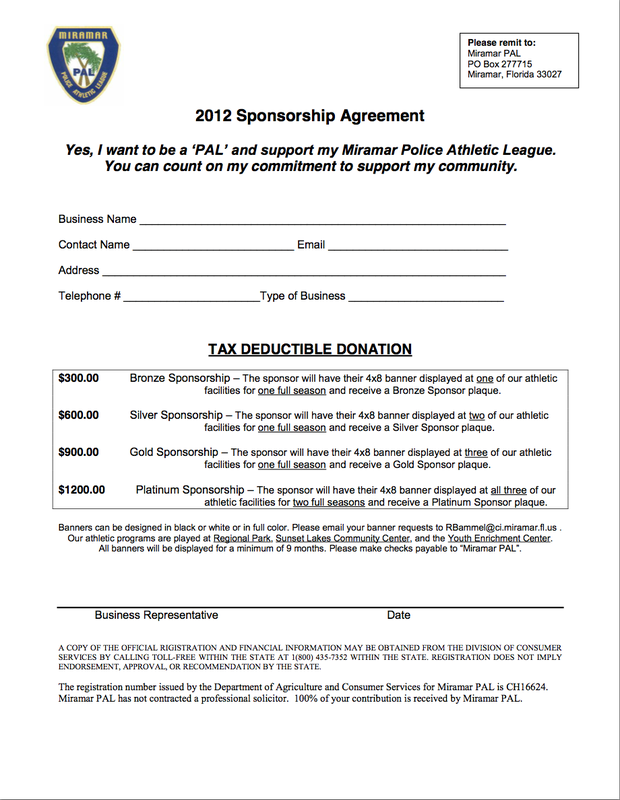 Miramar PAL is a 501(C)(3), charitable organization. You and/or your business can receive a tax deduction for your financial contributions. For specific tax benefits, please see your legal tax-advisor.